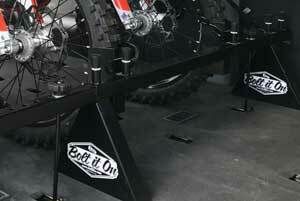 Warranty - Bolt It On - the Tool Free Motorcycle Tie Down Rack! 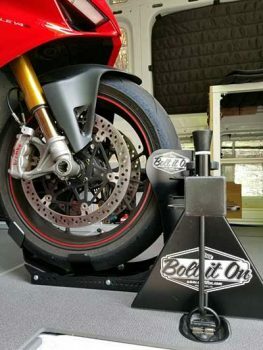 Bolt It On products are made right here in the U.S.A. We offer a Limited Lifetime Warranty on everything we manufacture. 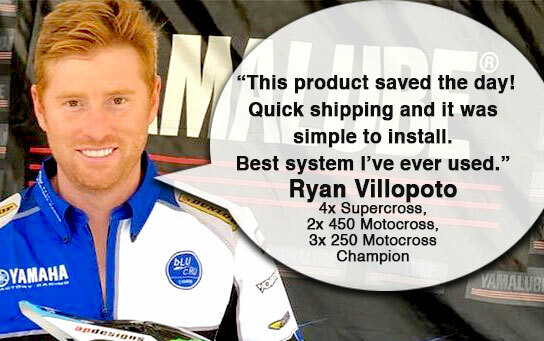 The Limited Lifetime Warranty applies to any product manufactured by Bolt It On and stays in effect to the original purchaser of the Bolt It On product . The Limited Lifetime Warranty becomes void immediately once the original purchaser sells and/or transfers ownership of the product to anyone other than themselves. The Limited Lifetime Warranty offers a limited warranty against manufacture defects. Bolt It On will repair or replace defective merchandise manufactured by Bolt It On at its discretion. Upon Bolt It On’s inspection, Bolt It On may offer to repair or replace the item in question. The Limited Lifetime Warranty is only valid if the product(s) are installed properly and used in the manner in which the product was designed. Any misuse of the product, or alteration from its original, new condition, voids the Limited Lifetime Warranty. Normal wear and tear, including scratches, dents, oxidation of surfaces and damage from misuse, accidents, or modification are not covered. Surface plating, paint, powder coat or any other coatings are not covered under the Limited Lifetime Warranty. Wear and tear from weather, chemicals and lack of maintenance to the product void the warranty. Additionally, the warranty does not cover any issues beyond Bolt It On’s control like theft, vehicle accident, improper installation, misuse, overloading, improper maintenance of the product, or improper maintenance of the vehicle the product is being used. 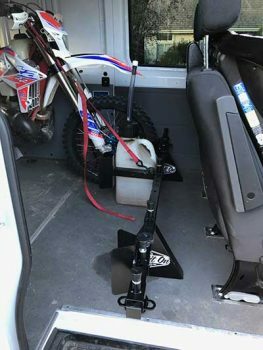 The user of the Bolt It On product(s) understands that Bolt It On has no responsibility for the attachment and/or installation of its products to vehicles or the attachment of cargo to Bolt It On products. Bolt It On does not assume any responsibility for damage to any property from improper installation and/or attachment or use of Bolt it on products. If the product is believed to be defective, the original purchaser of the product should contact Bolt It On immediately by calling us at: 805-975-8280 or email us at: racksupport@boltiton.com. If we acknowledge that there may be a problem with the Bolt It On product, we will provide appropriate instructions as to how to proceed with the return of the defective item. The original purchaser will be responsible for any return cost of shipping the item back to Bolt It On for inspection. Unauthorized returns will be refused. All returns from the original purchaser will need to include a copy of the original invoice. Once Bolt It On has received the item, we will inspect the item and decide at Bolt It On’s discretion to repair or replace the item. Bolt It On does not assume any liability what so ever to the original purchaser or any end user of the Bolt It On product(s). The purchaser and/or end user of any Bolt It On product(s) are solely and exclusively responsible for any and all installation and use of the Bolt It On product(s). Any damage or injury to property or persons is not covered by this warranty and is in no way the responsibility of Bolt it on. The original purchaser and/or end user assumes any and all liability of the use of Bolt it on products.